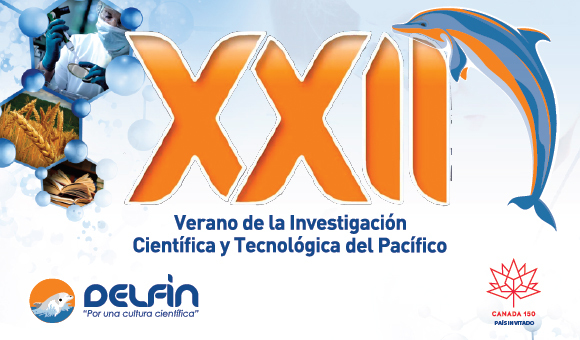 The Riviera Nayarit will once again host the Dolphin Program’s XXII National Scientific and Technological Research Conference, which will take place from August 16-19, 2017 at the Riu hotels in Flamingos. Canada is invited as the guest country. The conference begins at the close of the XXII National Summer Conference for Scientific and Technological Research in the Pacific 2017, stemming from the Pacific Inter-Institutional Program for the Strengthening of Research and Graduate Programs, which took place from June 19 through August 4 of this year with 6,600 registered students. The Universidad Autónoma de Nayarit (UAN or Autonomous University of Nayarit) is in charge of general coordination, with Professor Carlos Humberto Jiménez as lead coordinator together with a group of technical consultants. Professor Jiménez González stated the Dolphin Program is focused on strengthening the culture of collaboration between institutions of higher education and the research centers that form part of the program via the exchange of professors-researchers and students and the circulation of scientific and technological products. The organizers have chosen Mexico’s Pacific Treasure as the location for the conference for the past 15 years thanks to its infrastructure and connectivity, which allows thousands of students from at least 25 states in the Republic to travel here and present the work resulting from their academic work. He added that, to date, there are 2,540 students registered from 80 schools; together they will present 1,800 projects. They expect an additional 300 participants including advisors, teachers and heads of schools. Finally he underlined the growing interest in scientific investigation on behalf of the students, especially if you consider that, in 1996—the year the first Summer of Scientific Research—there were only 17 students registered, and now, 22 years later, they received 8,300 applications. It has been 22 years since the creation of the Pacific Inter-Institutional Program for the Strengthening of Research and Graduate Programs, Dolphin Program, and during that time over 35 thousand Mexican students have received the benefits. This year’s event included the participation of approximately 106 higher education institutions from 25 Mexican states.